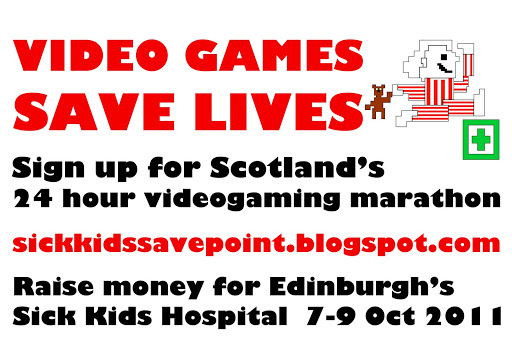 We’re pleased to say that Scotland’s 24 hour videogames marathon is now at sickkidssavepoint.org, as you might have noticed above. This means you can email us directly at info@sickkidssavepoint.org, just in case there’s any questions… Play Games. Save Kids. Win Stuff. What else would you need to know? Who we are raising for? We’re looking forward to the new Green lantern movie, and to celebrate we’ve done our own XBOX/Green lantern mash up… Just to show that gamers can be heroes too – raising vital money for kids by playing games past the fun barrier. Play Games. Save Kids. Win Stuff. 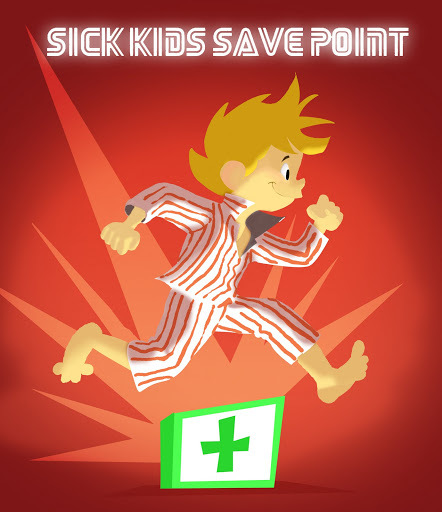 Sign up for Sick Kids Save Point by pressing the Just giving button on the right…. See you at the meadows festival this weekend.